The Short Version: Immigrants and members of minority groups often seek out Musarat Yusufali because of her ability to understand people who have diverse upbringings. As a Licensed Clinical Social Worker and an immigrant herself, she understands the challenges of being attached to two different cultures — especially for women. She uses a variety of techniques, including Eye Movement Desensitization and Reprocessing (EMDR) and Dialectical Behavior Therapy (DBT), to help individuals and couples work through trauma that may have led to current issues they’re facing. While most of her coaching is done at her office in Austin, Texas, Musarat also offers online courses that can be completed from anywhere and at anytime. Musarat Yusufali’s first job was in the IT field, but she soon realized that, although she could have a successful career in the industry, it wouldn’t fulfill her purpose in life. She said she felt her mission was to help people, and working at a computer all day wouldn’t satisfy that desire. Taking inspiration from her father’s devotion to his career as a social worker, Musarat went back to school and earned her master’s in social work from Columbia. After graduation, she returned to Austin, Texas, and began working with refugees and immigrants. It was during this time she decided to shift gears. “I realized that I wanted to change families’ and individuals’ lives through more one-on-one work,” she said. 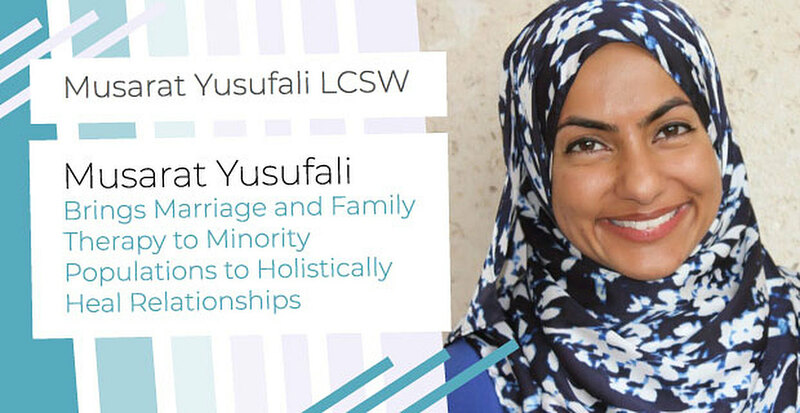 So Musarat started working with couples and individuals as a Licensed Clinical Social Worker to help them release and move past prior trauma — whether it’s related to their marriage, depression, or anxiety. Musarat found such profound success working with clients in an individual capacity that she began to branch out into other channels to help people outside of Austin — especially women from different cultural backgrounds. She also added online courses to allow women to learn and grow at their own pace. As an Indian Muslim immigrant, Musarat understands many of the challenges her clients face, and her goal is to help women move past their barriers to happiness and lead fulfilled, healthy lives going forward. Musarat brings a unique awareness and understanding to her practice that she gained during her formative years. She was born to Indian Muslim parents while they were living in Africa. When she was 11 years old, they immigrated to the United States. Even though she had an American upbringing — in terms of education and culture outside her home — the culture was different inside her home. From a young age, Musarat learned to navigate between the two worlds and, despite differences between the two, embrace the diversity of the cultures. Musarat Yusufali meets with clients in person at her office in Austin, Texas. “My culture is different from my parents’ even though we all immigrated together,” she said. Musarat is a member of the 1.5 generation, individuals who immigrate to a new country before or during their early teens. They’re less connected to their birth culture than their parents, and — depending on the age of immigration, the community where they settle, extent of education in their native country and other factors — they find it easier to assimilate into local culture and society than people who immigrate as adults. That multicultural background helps Musarat understand the unique challenges that women like her face. “I draw a variety of clients — including Muslim families — because I’m a practicing Muslim and they feel comfortable with me,” she said. She also works with many young adults in college or graduate school who have been marginalized or misunderstood. These clients feel comfortable with Musarat because she can relate to many of their experiences. Even if she hasn’t been through the same situation, she has seen the world from their vantage point and can provide the skills and resources they need to understand and move past their issues. Musarat uses scientific methods to help answer questions about her clients’ situations and applies them to her session. “I love brain science, so I bring that into my work as part of an integrative approach. I’m a holistic practitioner in that I look at how nature intended us to function,” she said. One way that Musarat incorporates brain science is through Eye Movement Desensitization and Reprogramming (EMDR) to help clients process their memories. This therapy allows memories to be integrated into a long-term memory system to improve negative symptoms including depression, anxiety, and trauma. EMDR therapy stimulates both the left and right sides of the brain and helps it make sense of events, much like deep REM sleep that’s essential for the body to function. Many clients come to Musarat with problems related to communication, but when she helps them dig deeper into their issues, she finds more complexity behind their inability to find the right words. Dialectical Behavior Therapy can help people communicate with their partners more effectively. “They might bring up infidelity or issues related to children: ‘Should we have kids, or how do we raise the ones we have?’” she said. When those issues are unresolved clients feel disconnected from others. The warm, fuzzy feelings they had at the beginning of a relationship start to fade. When Musarat decides to use EMDR with a couple, she may include it in a couples session, or work with one partner individually. “These sessions often bring up trauma or memories from their past that are very painful for them,” she said. When she decides to use EMDR with just one partner, it is meant to enhance, not replace, what she’s working on with them as a pair. 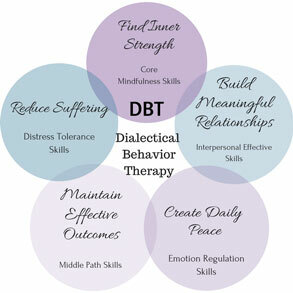 In addition to EMDR, Musarat uses Dialectical Behavior Therapy (DBT). “DBT is good for high-conflict couples who are constantly triggering each other through their words,” she said. She teaches them basic skills and asks them to practice at home throughout the week. Once people understand how their past is impacting their present, they can stop blaming themselves and each other, she said. Musarat offers group DBT sessions for high schoolers and young adults who want extra strategies for coping with stress and anxiety they experience in both school and life. When Musarat decided to leave the IT industry, it led her on a path to becoming intimately involved in people’s lives to help them move past their barriers to happiness. 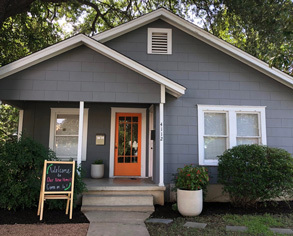 As a Licensed Clinical Social Worker and Therapist, she holds one-on-one sessions in Austin, Texas. But to help even more people, Musarat has developed several online courses available to anyone, no matter where they are. One is her free online Mini DBT Crash Course, which teaches the basics of DBT. She discusses what DBT is, how it can help, and demonstrates a skill from each of the five modules that make up the therapy course, so women can implement the strategies immediately and start seeing results. She also offers premium video-based courses that deal with topics such as mindfulness, parenting, and distress tolerance. Subscribers can go through the videos at their own pace, and rewatch them at any time to ensure they understand the material and can master the concepts. In terms of the future, Musarat is launching a new four-week course taught via live webinar. These sessions will give families the tools they need for effective partnerships. The information presented in the course will help couples work together to find unity and provide a solid foundation for family growth. Musarat’s goal remains the same, though: Changing the lives of people, one at a time, by helping them heal from past trauma and create the outlook they want. “I love it when I see clients, couples, and families doing well. I’m grateful and so delighted that they are doing better and feeling better, and that the therapy and work they have done together with me has made that possible,” she said.